I'm a little late posting this, but I've been really busy and I'm just now getting a chance! 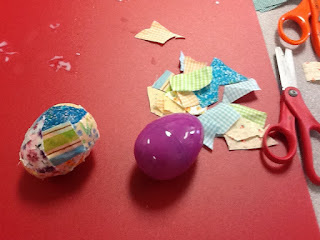 This Easter egg craft was very messy but tons of fun. 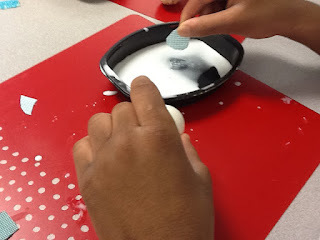 My students who have lots of difficulty with fine motor skills needed quite a bit of assistance with this task, but fortunately, we had peer tutors in the classroom that were eager to help. All you need to get started are a bag of plastic Easter eggs, Elmer's glue, scissors, and some colorful fabric scraps. Cut the fabric scraps into tiny pieces. They should not be any larger than 1/4-inch by 1/4-inch...the smaller, the better. Pour the glue into a paper or plastic bowl. Dip a fabric scrap into the glue then smooth it onto the egg. Keep adding fabric scraps until the egg is completely covered. 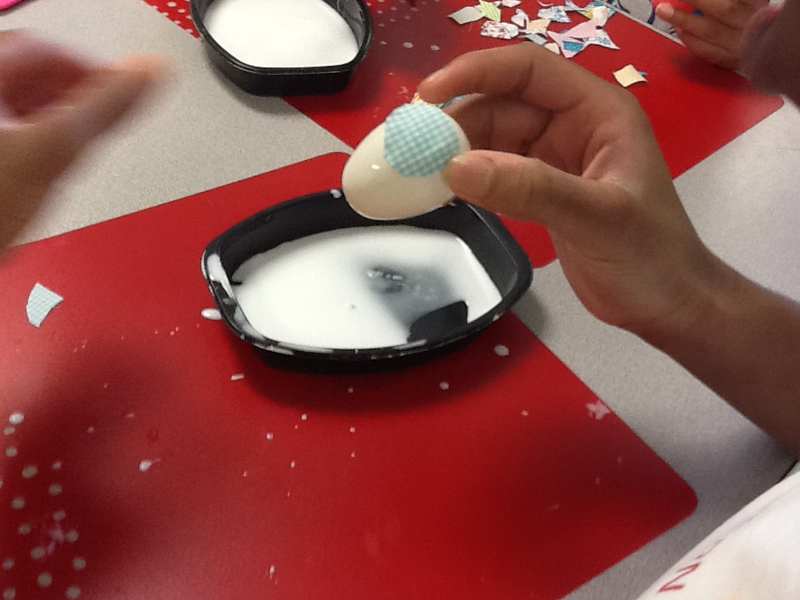 You may want to take a break half way through and let the egg dry. This will keep it from being so difficult to handle (the egg gets really sticky). 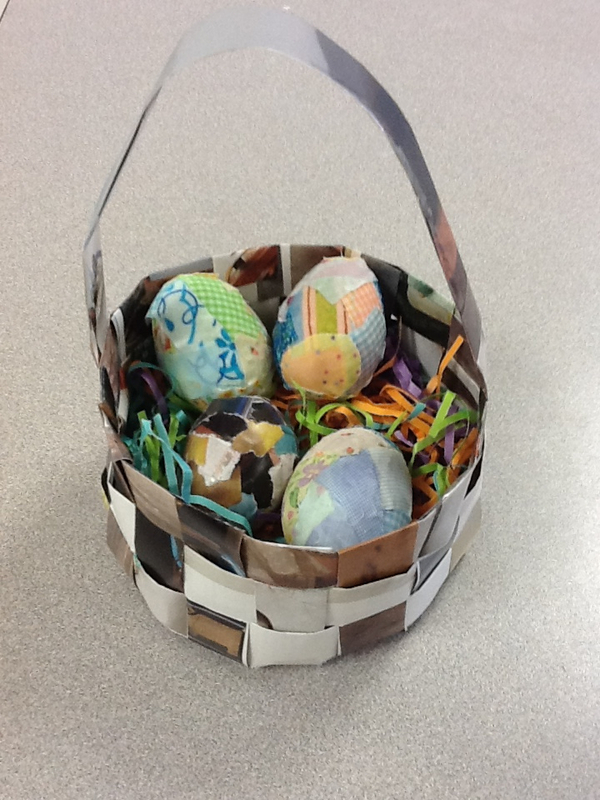 The end result...LOVELY Easter Eggs!